Living a Fit and Full Life: Update Your Child's Library with Some Amazing Christian Kids Books from Zondervan! Update Your Child's Library with Some Amazing Christian Kids Books from Zondervan! The Berenstain Bears 5-Minute Inspirational Stories by Stan and Jan Berenstain w/ Mike Berenstain is a super fun book! As a mom of four, I absolutely love that the stories are 5-Minute because this means we always have time for a story before bed. The Berenstain Bears have been a favorite in my house for a long time so my kids enjoy having a book filled with The Berenstain Bears stories so they can pick out a different story each night. Each story is incredibly inspirational and is the perfect way to end the day. 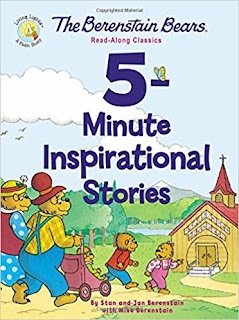 The Berenstain Bears 5-Minute Inspirational Stories by Stan and Jan Berenstain w/ Mike Berenstain is a terrific book and would make a wonderful addition to your child's library! You can find The Berenstain Bears 5-Minute Inspirational Stories by Stan and Jan Berenstain w/ Mike Berenstain on Amazon, Barnes and Noble and other bookstores. 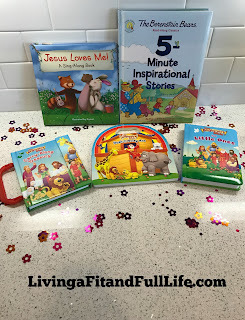 Jesus Loves Me (A Sing-Along Book) is an adorable book! I love that the cover is padded because this means it will stand up to little hands. My kiddos love the song Jesus Loves Me so this is a book they really like. The illustrations are beautiful and go right along with the song. 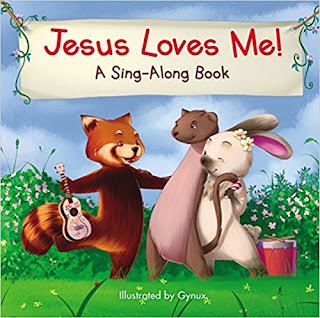 Jesus Loves Me (A Sing-Along Book) is perfect for little ones and is sure to put a smile on their face! You can find Jesus Loves Me (A Sing-Along Book) on Amazon, Barnes and Noble and other bookstores. The Beginner's Bible Carry-Along Treasury by Zondervan is perfect for kids! My kids love that it has a handle so they can take it everywhere they go with ease. I love that it has a magnetic closure so it always stays closed and protected when not in use. The illustrations are fun and with over 30 stories, kids will never tire of this wonderful book. 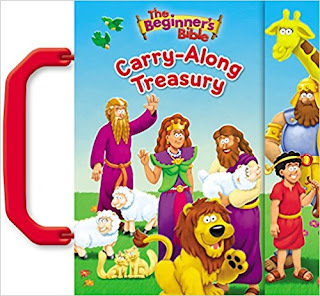 The Beginner's Bible Carry-Along Treasury by Zondervan is an awesome book for little ones and would make a terrific gift! You can find The Beginner's Bible Carry-Along Treasury by Zondervan on Amazon, Barnes and Noble and other bookstores. The Beginner's Bible for Little Ones by Zondervan is a terrific Bible for little ones! 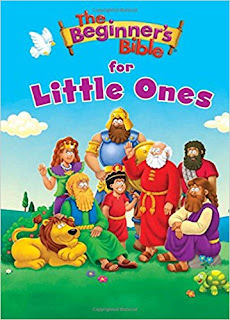 I absolutely love that it's based on the the Beginner's Bible® but is condensed for little ones. The Beginner's Bible for Little Ones has a padded cover to make it extra durable. My kids love the illustrations and I often find them just thumbing through the book just to see them. The Beginner's Bible for Little Ones by Zondervan is just perfect for little ones and my family and I highly recommend it! You can find The Beginner's Bible for Little Ones by Zondervan on Amazon, Barnes and Noble and other bookstores. 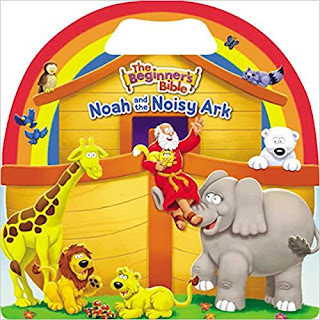 The Beginner's Bible Noah and the Noisy Ark by Zondervan is an absolutely adorable book! My kids love this book and have such a fun time when we read it. They love seeing the animals on each page and learning all about Noah and the Noisy Ark. It featuring brand-new art from the beloved The Beginner’s Bible and is incredibly fun and entertaining to little ones. The Beginner's Bible Noah and the Noisy Ark by Zondervan is a terrific book for kids that they're sure to enjoy! You can find The Beginner's Bible Noah and the Noisy Ark by Zondervan on Amazon, Barnes and Noble and other bookstores.